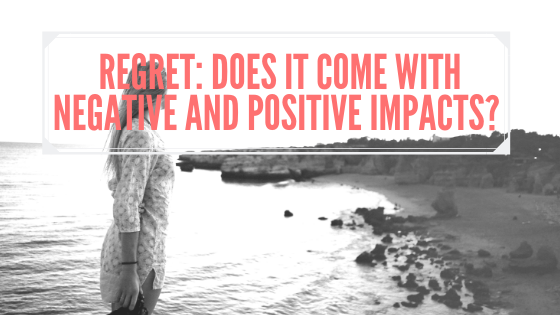 Does regret come with negative and positive impacts? This is such an interesting post and I actually really agree with a lot of the points. I try really hard in my life not to look back and 'regret' anything because it seems like such a waste of time but your point about being able to learn from regrets is a really interesting and valid one. I think we all do it whether we're conscious of it or not don't we? I think there's a fine line between getting so caught up in your regrets that it impacts you negatively and using them as a way to learn, grow and move forward. I think we'd all prefer the latter! This is a really interesting topic and discussion - it's given me a lot to think about. 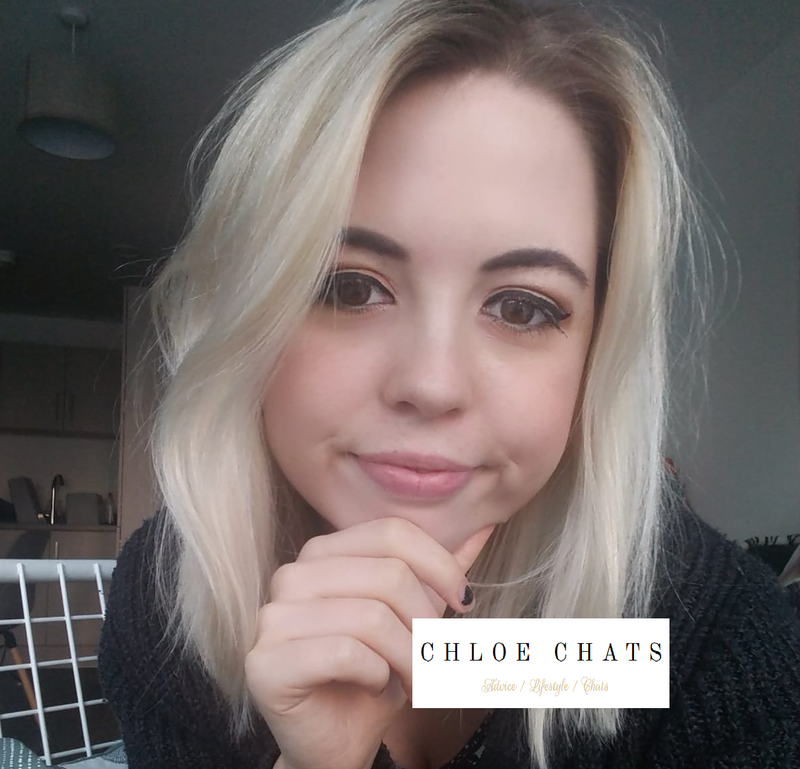 I wrote a post YEARS ago about how annoying I found it when people would say that you're too young to have regrets and all these "inspirational" quotes you see everywhere about how you shouldn't regret any of your decisions. I made some terrible decisions in sixth form about my future and I still regret them today, over 7 years later. My life could have been totally different and it's my fault that it's not, so it's really hard to take all these "you shouldn't regret anything!" quotes. I think regret can either positively or negatively influence us, depending on your outlook on life and how you choose to deal with things. Although it does make us feel badly about ourselves and our life, it also pushes us to do better or to make changes. Of course this is no good or counts for little if you have regrets on your death bed. In that case it is negative. But, for example, if you regret how you treated someone in the past then, although you may feel ashamed of yourself, that will drive you to be a better person - therefore equalling in a positive. I've never really seen the positives to regret until now. There's so many valid points on learning from those past decisions that lead to regret. I really beat myself up with regret, and I have a lot of them. I'm beginning to wonder if I've been making the same choices time and time again without even realising it?! It's always easy to dwell on the negative, that's why regret is often perceived as an issue rather than a learning opportunity. I think regret is something we can use to make smarter and more balanced decisions in life. Even such little details in life like choosing chinese over pizza can teach you a lot about yourself. Many years ago I didn't help someone because I wasn't sure if help was needed. It ended not very well for me, so now I always react, sometimes even before anything happens. Your post was a very wise read. Regret is really interesting to think about. I’m lucky that I have no serious regrets in life, but of course there are things I could have done differently. I just choose to think about why I made certain decisions, and I am happy to report I still stand by all of my decisions. Even though regrets come from negative connotations, like "I should've" or "I should've not", there is some good that can come out of it like a lesson to avoid in the future. I love that people shared their thoughts about regrets. Being negative can lead into different things and it is important to see the good in situations. Thanks for sharing the positive vibes! I think regret can be seen as both a positive and negative entity - If we never spoke for our actions then we would never learn or progress from how we feel and what changes we can make in order to avoid that feeling. And on the other hand - some people (myself included) like to ‘over-mill’ things if you will, and when you have those type of regrets it really isn’t healthy as they hardly ever amount to anything positive or productive. Lovely read! Awesome article!! I try to make a positive out of everything but I do, at times, struggle with regrets. Very interesting!! I love this!! It's made me think about things in a very different way. Yes, I have regrets, but looking at them in this mindset means that actually, at the time, I did things the way I needed to at that moment and so while I wish things would be different, even if I could go back, it wouldn't be. And you're right: regret is linked to the past and if we let ourselves let go of it a bit more, maybe things will be easier? Gorgeous post! This is such an interesting post. There's definitely a fine line being dwelling on things you regret and using them as a learning curve for growth. Great post! I try hard not to have regrets because I do believe that what’s meant to be is meant to be but some things might nag a bit. I wished I would have traveled more when I was younger. Now I feel I need to spend most my vacation time with my family because of health stuff with my father. But I still have plenty of time to travel and plan to do more in the future! I think this is such an interesting topic to think about. It's one I was actually talking to my sister about recently. My dad doesn't seem to live with regret. Once he makes a decision he somehow in his mind believes it is right no matter what. He doesn't think about the what if of the other decision choice. While my mom and middle sister have the hardest time making decisions and then living with the decisions. It seems they always regret it or think about the "what if." I don't think either are particularly healthy. I think there should def be a happy medium. Thanks for this amazing post. It definitely has me thinking!